Shop our new collection of performance polos constructed of 100% cool polyester fabric featuring classic solid designs. Raise awareness for breast cancer and show your support through the purchase of pink ribbon apparel. 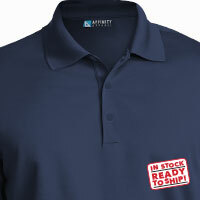 Have your company or special event logo added by contacting our Customer Care Center at 1-800-543-9698. Help bring dignity and comfort to the harsh world of childhood cancer with the gift of specially designed apparel that allows for modesty during port access, a port pocket and line management. Available in sizes newborn to adult 2XL. All proceeds go to the Comfycozy's for Chemo charity. Shop our new collection of button down shirts and blouses featuring stylish contrasting design details on the inside collar, placket and cuffs. Our tailored collection offers superior fit and comfort, quality construction and fabrics, with variety to suit any style. 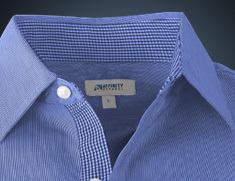 From top to bottom, our collection of casual apparel offers endless options to create the perfect look for your team. Mix and match a variety of styles, colors and patterns from our culinary collection to create a distinguished look for your team. Stylish yet functional, our environmental services and housekeeping collection lets you look good while meeting the demands of the job. 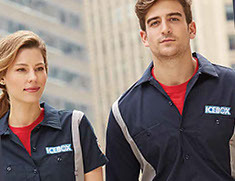 Our full line of flame resistant apparel provides the durability and comfort your employees want with the level of protection they need. 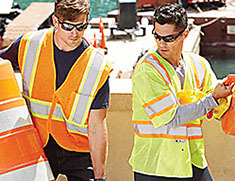 Keeping your employees safe and seen, our high visibility apparel will help your team stand out from the crowd. 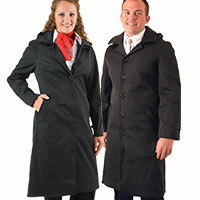 We can provide outerwear for every season. 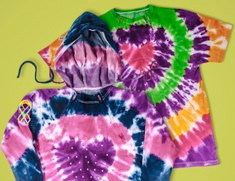 From our fleece jackets and vests to dress coats, we have you covered. 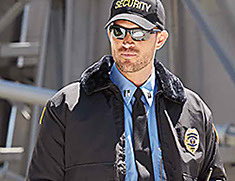 From traditional to tactical, outfitting your team in our security apparel will portray a level of professionalism to command respect on the job. 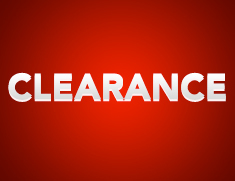 Shop great deals on a variety of men's and ladies items below cost! Check back often for new additions! No returns or exchanges. While supplies last! 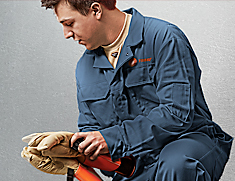 Durable and dependable, our work wear collection withstands the demands of the toughest job environments.